You must celebrate every special moment. Create a bright and vibrant ambiance with a fabulous arrangement of Asiatic lilies. This flower bouquet is bright, warm and welcoming. Send flowers to your special recipient to brighten their day. 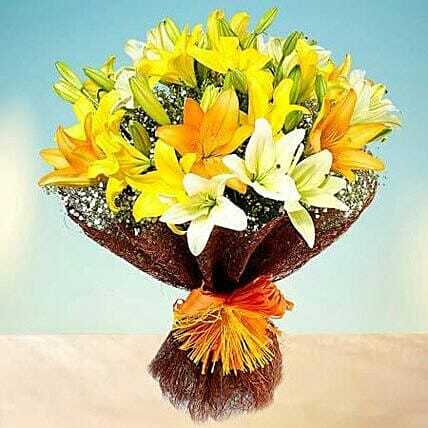 This beautiful mix of Asiatic Lilies will make your loved ones feel their special position in your life.